We enjoy keeping up with our Spider Family after they graduate and following along as they do their part to influence their communities and the world. The Richmond network is close-knit and mighty — and we love sharing their successes. 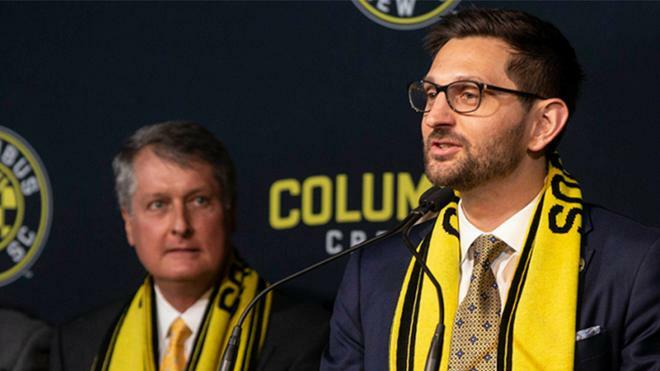 Tim Bezbatchenko, ’04, is someone who has continually used his leadership studies background as he’s made a name for himself in the professional soccer club arena — and now he’s been named president of the Columbus Crew SC in Ohio, his home state. A former midfielder for both Richmond and the Pittsburgh Riverhounds, as well as a New York lawyer, he segued his expertise to Major League Soccer and has been the general manager for the Toronto Football Club for several years. He’s now responsible for not only soccer operations, as he did in Canada, but also the business side of the organization.